In a unique application of JBL loudspeakers, Vitel S.A. recently installed a sophisticated A/V system at the Atalaya Museum in Jerez de la Frontera in Spain. Within the Museum is an old winery surrounded by gardens and ancient trees, which has been renovated to house the “Jerez’s Mystery” exhibit, which documents the discovery of Jerez’s prized jerezano wine. Video projectors are used to shoot images onto the video screens on the perimeter of the room, treating museum-goers to an educational experience on winemaking and the distinctive qualities of jerezano wine. The Museum contracted Vitel S.A., a systems integration firm with extensive experience in museum installs, to design and implement the audio/video system at Jerez’s Mystery. The audio that accompanies the dynamic visual display comprises 32 audio channels to create a surround effect, generating a virtual scene throughout Jerez’s wine history. JBL Control® Contractor Series and SRX Series loudspeakers comprise the pre-show and show systems. Vitel S.A. was required to implement the loudspeakers behind four projection screens, measuring more than 56 meters long. Drawing on its extensive experience in museum installations, Vitel S.A. installed 22 JBL SP212 loudspeakers in combination with 14 JBL SRX715 portable loudspeakers, 24 JBL Control 25AV surface mount speakers, four Control 29AV surface mount speakers and four JBL SRX718S subwoofers. For the pre-show, Vitel installed several JBL Control 25 speakers, relying on the product’s flexibility, high performance and wide frequency bandwidth. Since the space was designed to hold other events such as conferences and presentations, Vital S.A. installed a BSS Soundweb 3088 signal processor to enable easy scalability and configuration of the audio system. The 3088 is designed and suitable for applications where up to eight inputs and outputs are required, making it ideal for conference rooms and smaller installations. JBL Professional is proud to announce that Dr. Alexander Voishvillo was recently awarded AES (Audio Engineering Society) Fellowship for his research in modeling and assessing the nonlinearities of horn drivers and other audio equipment. Dr. Voishvillo’s work at JBL is in the area of design and development of all new high-frequency professional transducers, several of which are patent pending. While at JBL, Dr. Voishvillo has also published and presented several research works on complex relationships between the subjective perception of nonlinear distortion by the human auditory system and various methods of objective assessment of nonlinearity in audio equipment. “It is an honor and privilege to receive the AES Fellowship, a once-in-a-lifetime event,” said Alexander. Dr. Voishvillo has been granted several U.S. patents on new types of transducers. He is the author and co-author of numerous publications on loudspeakers, including the engineering book on loudspeaker theory and design, High Quality Loudspeaker Systems and Transducers, published in Russia in 1985, as well as papers published in the Journal of the Audio Engineering Society on assessment of nonlinearity in audio equipment. He has also presented several papers on the subject of nonlinear effects in horn drivers. Alexander was born and raised in the family of a radio-electronic engineer and educator in Leningrad (now Saint Petersburg), Russia. He received a Ph.D. degree in 1987 for work centered on computer optimization of loudspeaker crossover systems, and worked at the Laboratory of Prospective Research and Development, Popov Research Institute for Radio and Acoustics, Saint Petersburg. Dr. Voishvillo is a member of the Audio Engineering Society and participates in an AES Standards Committee working group on loudspeaker measurements and modeling. For the last several years he has been an active member of the JAES Review Board. Demonstrating the widescreen and HD capabilities of Hitachi CP-WX625 3LCD projectors, the Phoenix College campus of Maricopa Community Colleges recently upgraded to CP-WX625 projectors for several of its classrooms. The projectors were sold through Troxell Communications. Prior to the upgrade to the Hitachi projectors, the school relied on a variety of technologies for their presentation needs, which were less than convenient. “We had a projector on a cart that we had to share, which often created scheduling conflicts, so convenience was an important factor for acquiring the Hitachi projectors,” said Dr. Patricia Finkenstadt, who teaches anatomy and physiology at Phoenix College. The CP-WX625 LCD projector is specially designed for use with widescreen-format laptops and imaging applications that use 16:10 aspect ratios. Additionally, the CP-WX625 features an HDMI terminal, allowing digital signals such as DVD players/recorders and HD to be transmitted digitally to the projector. A 16-watt speaker output provides sufficient audio coverage, while a hybrid filter is side-mounted, allowing for easier maintenance. Further simplifying maintenance, the CP-WX625 also features a top-door lamp, making replacement much easier. Despite the CP-WX625’s sophisticated display technology, Dr. Finkenstadt has found the projectors very easy to use. “Learning to operate the projectors required a minimal amount of training and I can walk into the classroom, turn the projector on and be ready to go,” she said. “The adoption of the CP-WX625 projector by Phoenix College speaks to the product’s ability to display images in applications where very high image quality is critical,” said Ray Soltys, Director of Sales, Hitachi Home Electronics (America), Inc., Business Group. Offering widescreen capability and full connectivity, Hitachi Home Electronics (America), Inc., Business Group, has introduced the new CP-WX410 3LCD projector. The CP-WX410 offers a 16:10 aspect ratio, 3,000 ANSI lumens brightness and optical zoom. The CP-WX410 projector includes a variety of connectivity options, including HDMI input. Additionally, automatic vertical keystone, input source naming, and Quick Start and Instant Off functions ensure easy setup and installation. The CP-WX410 also provides a closed captioning feature, allowing audience members to read text or dialogue for video fed from a DVD player or television. The CP-WX410 also features a side-mounted hybrid filter that offers extended filter life with a 2,000-hour filter cleaning cycle. The CP-WX410 also offers anti-theft features such as PIN lock, MyScreen lock and a transition detector. Showcasing Soundcraft’s growing influence in the burgeoning India pro audio market, SOUND.COM coordinated efforts with Reliance Big Music for a 10-day concert series that relied on an extensive Harman audio system featuring a Soundcraft Vi6 digital mixing console. The 96-channel Vi6 exceeded expectations, assuring further installations in the future. The versatility of the Vi6 allowed the engineers to simply slot the additional DSP (Mix engine) card into the console, upgrade the software to V3.0 and start mixing immediately. There was no threat of sacrificing I/O on the desk as it is fully loaded to accept audio signals from all the input and output channels from the local rack as well as the stage box, simultaneously. The individual channels are managed in a small footprint while the fiber optic lines protect users from any disruptive interference. The install consisted of 18 VERTEC® VT4889 full-size line array elements (nine per side), left-center-right hangs of four VT4880 arrayable subwoofers each, plus two VT4887 compact line array elements for front fill, all powered by Crown IT8000 amplification. The key focus was to not compromise on the trim lengths for good coverage and headroom to provide unprecedented power in the venue. The specific genre of music contains a lot of mid-frequency energy produced from the instruments as well as the vocals, and the R.B.I. (Radiation Boundary Integrator) of the VerTec mids produced a clear and full sound. Rounding out its VERTEC® Series line array family of powered and passive loudspeaker models for the professional tour/rental and performance-venue markets, the JBL VERTEC VT4889ADP Full Range High Directivity Line Array Element and the companion VT4880ADP Ultra Long Excursion Arrayable Subwoofer are making their U.S. debuts today at LDI 2008 in Las Vegas. Both models are integrated audio systems featuring field-proven JBL DrivePack® technology. Co-developed with Harman Pro Group sister companies Crown International and dbx Professional, the high-performance JBL DrivePack electronics modules with integral digital signal processing are designed to couple seamlessly with VERTEC loudspeaker enclosures and deliver superb audio quality with robust reserve power. The new powered VERTEC models have already been fielded for a variety of applications and events, ranging from the “Love, Janis” nationwide musical theatrical production, to the general session of the National Association of Broadcasters (NAB) convention in Las Vegas, to the La Fiesta Del Pueblo Cinco de Mayo music festival at San Diego’s Del Mar Fairgrounds’ outdoor grandstand. Here at the LDI convention, a system including the new powered VERTEC models has been selected for use by StagePro for the Live Design Awards ceremony at the Apex mobile stage, booth #214. The available JBL DrivePack DP-3 module features Crown’s exclusive BCA (Balanced Current Amplification) technology, incorporating Class I circuitry with temperature-compensated modulation. The units include an auto-sensing Universal Power Supply and a fan-free, passive, cooling design. The three-channel DP-3 offers a full rated output power of 6,000 watts peak, 3,000 watts continuous (at load) for the VT4889ADP, and 6,900W peak, 3,500W continuous for the VT4880ADP subwoofer. The VT4880ADP 2 x 18-inch arrayable subwoofer is a high output, lightweight companion subwoofer to complement VT4889ADP full-range loudspeaker systems. It is fitted with two new 457 mm (18 in) model 2269G ultra long-excursion low frequency transducers. The subwoofer is capable of delivering 137 dB SPL (1 m). This powered subwoofer weighs only 99.9 kg (220 lb), enabling the construction of extremely powerful VLF (Very Low Frequency) arrays of multiple units. It is designed to be suspended in stand-alone arrays, coupled with VT4889ADP’s in the same array, or ground-stacked as required. Optional networked DPAN (analog audio) and DPCN (Cobranet™-compatible digital audio) input modules from Crown allow JBL’s new powered full-size models to link seamlessly into Harman Professional’s HiQnet™ system. With optional network modules installed, users have remote control and monitoring access to system functionality and digital speaker presets, via System Architect software. HiQnet compliance ensures that VERTEC DP Series system products offer a variety of configuration and monitoring functions, through software control panels that address not only JBL DrivePack-equipped loudspeakers, but also other HiQnet-compliant audio products from Harman Professional companies that may be integrated into the same sound system. These new models allow professional sound system users who need full-size loudspeaker array elements to leverage the distinct performance and business advantages the JBL VERTEC DrivePack technology platform can provide, including reduced system configuration costs, less concern over cooling needs in low-noise environments like performing arts centers due to the JBL DrivePack’s fan-free design, and transportation and installation savings due to lower space requirements when compared to loudspeaker systems powered by traditional amplifier racks. In a unique demonstration of the versatility and power of JBL VERTEC® line arrays, San Diego-based Meeting Services, Inc. provided the live sound reinforcement system for the recent AARP Life@50+ National Event and Expo in Washington, D.C. Staged September 4-6, the event drew more than 25,000 members to the Walter E. Washington Convention and Exhibition Center. To meet the needs of this diverse program, Meeting Services called on the easy-to-use suspension hardware and precision coverage of VERTEC line arrays. The main portion of the sound reinforcement system featured three arrays in a left-center-right configuration, each containing eight VERTEC VT4889 full-size line array elements, with six arrays each containing four VT4880 arrayable subwoofers. Additionally, four arrays each containing six VT4888 mid-size line array elements provided delay fill. The system was further supplemented by two arrays each containing five VT4887A compact line array elements. In addition to the VERTEC system, Meeting Services deployed a total of 61 VRX932LA portable line array loudspeakers to extend localized coverage into the massive exhibition hall, including 13 delay arrays of three each. Six VRX928LA portable line array loudspeakers and six VRX915M portable monitors served as front fills. Two SRX712M monitors were used for Q&A sessions, while four EON 10 G2 portable PA loudspeakers served as backstage monitors. Crown I-Tech, MA and XTi Series amplifiers powered the system, which included dbx DriveRack 4800 digital signal processing and was configured via the Harman HiQnet™ System Architect platform. "More important than the bare numbers, however, is that we kept our key promise," says Detlef Kornett CEO of Anschutz Entertainment Group, Europe. "With all the problems that a first month in operation entails, each time we brought our visitors a special experience – thanks to good visibility, excellent sound and friendly and courteous staff. The arena has already shown how versatile it is and has events with world-wide beam forced to move to Berlin." With the United States presidential race heading into the home stretch, audio rental systems provider On Stage Audio has supplied JBL loudspeakers for use in all three presidential debates and the vice presidential debate. The presidential debates took place at the University of Mississippi in Oxford on September 26, Belmont University in Nashville on October 7, and Hofstra University in Hempstead, New York on October 15. Additionally, the vice presidential debate took place October 2 at Washington University in St. Louis. With the exception of the “Town Hall”-style debate in Nashville, the audio system for each event remained relatively consistent across the different locations, with VRX932LA portable line arrays arranged in clusters of two each in left-center-right configurations, with two additional delay fills of two VRX932LA loudspeakers each. Larry Estrin served as Audio and Production Communications Director for the Commission on Presidential Debates, overseeing the audio/video systems for each event. At the Nashville debate, the audience was seated approximately 50 yards from the candidates in a “horseshoe”-style arrangement. In this instance, On Stage Audio supplied numerous Control 25AV surface-mount loudspeakers for use as floor monitors (as seen in several live camera shots during the nationally televised broadcast), along with six VRX932LA loudspeakers distributed evenly to match the horseshoe-style seating. On Stage Audio’s Chicago-area rental services facility can be reached in Wood Dale, IL at (630) 227-1008 or on the web at http://www.osacorp.com. In another example of JBL’s VLA line array loudspeakers providing highly intelligible and powerful sound for sports venues, Clair Brothers Systems recently designed and installed a new audio reinforcement system for HSBC Arena in Buffalo, New York. The Arena features VLA line arrays arranged in a circular formation above the main scoreboard. Located in downtown Buffalo, the HSBC Arena is home to the Buffalo Sabres of the National Hockey League and the Buffalo Bandits of the National Lacrosse League. The arena, which seats 18,690 people, is also used regularly for college basketball games, WWE events and concerts. Drawing from positive experience with JBL in previous projects, Clair Brothers Systems saw VLA and Precision Directivity® (PD) series loudspeakers as ideal fits for the upgraded audio system at HSBC Arena. “We used VLA and PD loudspeakers in previous projects and were very pleased with their articulation and power handling, so we thought this project was a perfect venue to use them again,” said Jim Devenney, Senior Audio Designer, Clair Brothers Systems. Clair Brothers installed six arrays, each containing 10 VLA901 loudspeakers, hung in a circular arrangement from the top center of the arena, above the main scoreboard. Additionally, Clair Brothers installed six PD5212 loudspeakers in the scoreboard for floor and ice fill. Designed for permanent installations requiring high-impact sound reinforcement at throw distances beyond the reach of traditional loudspeaker designs, the VLA series is based on the same advanced engineering science used in the highly successful VERTEC® line array product family, but also combines many elements of the PD Series. Lexicon®, a Harman International Company (NYSE-HAR), is proudly introducing its IONIX FW810S FireWire® Audio Interface with integrated channel strip processing. The IONIX FW810S represents a breakthrough in recording technology for the sophisticated home or project studio. This new recording interface offers the highest quality 96kHz sampling, coupled with dbx high-voltage, ultra-low noise mic pre’s and dynamics. All these powerful tools connect to your digital audio workstation through FireWire for the ultimate pro recording studio in a single rack unit. The unit also features the new Pantheon II reverb plug-in. Featuring built in dbx Type IV™ conversion; the I·ONIX FW810S will preserve the wide dynamic range of the analog recording even when input levels get too high. This allows for more headroom, capturing the subtle details in high-level signals instead of hard-clipping them. The IONIX FW810S’s software mixer includes a dbx compressor, limiter, gate, and EQ on each channel, and lets users adjust levels and apply dbx dynamics for mixing and fine-tuning recordings in real time with zero latency. The unit also has the ability to save and load up to five monitor mixes – one for the main mix, and up to four for individual band members. The mixer outputs can also be used to incorporate external effects gear. The Lexicon name is synonymous with “the world’s best reverb”. Pantheon II continues this legacy and delivers that “Lexicon Sound” used on most of today’s recorded music and movies. Pantheon II provides the ability to change the parameters of six different reverbs, or use one of the 35 factory presets. Also included is a hardware monitor reverb for zero latency monitor mixing. This allows the performer to put a monitor reverb on their monitor mix without having the latency of monitoring through a reverb plug-in in the DAW. The software suite operates on Windows® and Mac® platforms and includes Steinberg’s Cubase, Toontrack EZdrummer Lite, and Lexicon Pantheon II reverb plug-in. In an effort to provide the best possible learning experience in math and science, the Casita Center has integrated Hitachi StarBoards into classes at the elementary level. Sold through Troxell Communications, Casita has installed Hitachi FXDUO77 interactive whiteboards, as well as Hitachi 3LCD digital projectors CP-X200, CP-X201 and CP-X251 series. 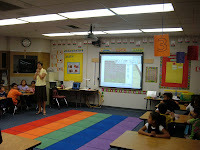 The Vista Unified School District founded Casita Center for Technology, Science, and Math as a magnet school in 1992. As a magnet school, they create new and exciting ways for children to learn and for teachers to teach, in addition to offering an expanded learning experience with a special focus on technology, science and mathematics. Another major factor in selecting Hitachi whiteboards for Casita was due to its large screen. “When you’re dealing with a classroom full of elementary school age students, the size of the screen is crucial. They need to be able to see the detail of everything that is being displayed. While this might not be considered a significant technology feature, for educators it is extremely important,” stated math teacher Sue Ritchie. Underscoring its commitment to provide channel partners and customers in the professional audio, MI and cinema communities with the best possible sales leadership and support services, Crown Audio today named Matt Bush to the position of Vice President of Sales starting in November. Bush joins Crown Audio from sister company, Harman Music Group, where he was Vice President of Operations and takes the position previously held by Scott Robbins who was promoted to Vice President of Sales for Harman Professional last month. In his new role, Bush will direct worldwide sales operations from Crown Audio’s Elkhart, Indiana headquarters and he will report directly to Mark Graham, President, Crown Audio. Matt Bush joined The Harman Music Group in 1987. He has served in leadership roles in engineering, manufacturing and operations and has more than 24 years of experience in the design, manufacture, service and supply chain of electronic products. Matt has served as the Vice President of Operations of HMG since 2001, is the architect of HMG’s hybrid manufacturing and global supply chain strategies and directed all supply chain functions including a US manufacturing facility, off-shore manufacturing, customer service, and distribution centers in the US, Asia and Europe. He has also led group-wide programs in European logistics and key supplier negotiations, and has presented numerous times at Harman best-practice sessions. Matt is a Six-Sigma Greenbelt and coach, has completed Executive Programs in Supply Chain Management and Factory Physics at the Kellogg School of Management and holds a Bachelor of Science degree in Management from the University of Utah. Hitachi Software Engineering America, Ltd. today announced the appointment of Robert Mattaini as Midwestern Educational and Training Consultant. In his new role as education and training consultant, Mattaini will serve as the primary liaison with educators and customers at various educational institutes throughout the Midwest to introduce Hitachi products and demonstrate how the StarBoard line can satisfy their education and business goals across Indiana, Illinois, Iowa, Kansas, Mississippi, Minnesota, Montana, North Dakota, South Dakota, Nebraska, and Wisconsin. 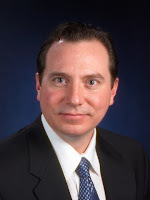 Mr. Mattaini brings a wealth of experience in sales in both the medical and education markets. Prior to joining Hitachi, he served as territory manager for Educational Technologies, Inc. an interactive whiteboard manufacturing company. Additionally, Mattaini previously served as a territory manager for Straumann USA, a surgical equipment manufacturing company and as a territory manager for Biomet/Implant Innovations. His primary responsibilities include growing Hitachi’s customer base in the Midwest while leading training sessions and attending sales-related events and trade shows. Mr. Mattaini will also nurture current and future relationships, and assist in training for dealers and end users. On August 26, an enthusiastic crowd of more than one million persons gathered to witness and support the establishment of a new political party in India. Launched by Chiranjeevi, one of the biggest stars in the Indian film industry who has now entered into politics, the new party's name is "Praja Rajyam" (meaning "People's Rule"). The fledgling party's event organizers chose the Ava Lila Tank site in the city of Tirupati, located in the state of Andhra Pradesh, to unveil its political program. Speeches, film clips and choreographed dance segments were included in the event. Sound reinforcement services for the ambitious multi-media outreach were supplied through a coordinated effort by Taher Sound & Lights of Hyderabad and V&P Sound Pvt. Ltd. of Bangalore. "The venue selected for the huge outdoor gathering was very wide, and four main scaffold-based array hangs were designed for long-throw coverage, including a total of 44 JBL VT4889 full-size line array elements," explained Zakir Hussain of Taher Sound & Lights. "We have achieved excellent results since buying our first JBL VERTEC® system in 2004, and the system has been rider-friendly in India for some time. Now, with the new V4 DSP presets, the system sounds fantastic, we never have to do much EQ at all." The VT4889 arrays, positioned along with large-scale video support screens to provide maximum penetration into the large audience area, were supplemented with a total of 24 VT4880/80A subwoofers. In addition, four arrays each including six VRX932LA portable line arrays were deployed for near-fill coverage. Quantities of JBL SRX725 enclosures were used as remote signal-delay arrays, and JBL VRX915M loudspeakers were in use for onstage monitors. The audio team relied on a Soundcraft MH-4 48-channel mixing console for system control, with loudspeaker management duties handled by dbx DriveRack 4800's and BSS FDS-366T's. Crown I-Tech's handled all power amplification requirements. "Our team has been very pleased with the performance of the JBL VERTEC system for this and many other applications," advised P. Vishnu, the “P” of V & P Sound Pvt. Ltd. "The VERTEC boxes are lightweight. The rigging is fast and secure. The JBL transducers are robust. Overall, our staff engineers and clients alike find the system to be very flexible, with exceptional audio fidelity." Following up on the successful deployment of Harman Professional audio technologies at the Beijing Summer Olympics ceremonies and competition events, professional-grade audio components from Harman brands, JBL Professional, Crown Audio and Soundcraft formed the backbone of the AV system used at the Paralympics opening and closing ceremonies. Hosted at the 90,000-capacity Beijing National Stadium, both events were designed by artistic directors Zhang Yimou and Zhang Jigang and featured spectacular, highly evocative performances of sound and light that provided a beautiful culmination to inspiring 12 days of competition. The main system comprised of 20 JBL Professional VERTEC® VT4888DPAN powered line array elements featuring Crown-designed DrivePack® power amplification modules complemented by four JBL VERTEC VT4880 arrayable subwoofers powered by two Crown I-Tech Series iT6000 amplifiers. This system featured Soundcraft Vi6 digital mixing consoles at front of house and monitor positions and also included two Soundcraft MH4 consoles for backup applications. One hundred thirty-two Crown I-Tech Series iT4000 amplifiers were also deployed for fill applications. Twenty-six JBL Professional MS26 loudspeakers powered by 16 Crown I-Tech Series iT4000 amplifiers provided sound at the VIP area and an additional 60 JBL Professional PRX512M portable loudspeakers were deployed throughout the stadium in special zones like at video walls, athlete entrances, media and production centers and athlete waiting areas. Harman Professional sound systems were featured at the opening and closing ceremonies of the Beijing 2008 Olympic Summer Games and were also featured in 12 of the most prestigious venues for the games. The Beijing National Aquatics Centre, featured JBL Professional loudspeakers, a Soundcraft console, Crown amplifiers and BSS Audio processing. The Fengtai Softball Field sound system is comprised of Soundcraft consoles, JBL Professional loudspeakers, dbx processing and Crown amplifiers. Many of the same Harman companies are featured at the Chang Ping indoor arena that hosted Tae Kwon Do competitions. The AV system at the Beijing Foreign Language University Stadium comprised BSS processing, Crown amplifiers, dbx patchbays, Lexicon processors and Soundcraft consoles. In Shanghai, the Shanghai Stadium featured an arsenal of JBL loudspeakers, BSS Audio signal processors, Crown microphones, Lexicon processor and Soundcraft consoles. Basketball competitions were held at Wukesong Indoor Stadium, home to an AV system that featured Crown amplifiers and JBL Professional loudspeakers for public address. The AV system at Hong Kong’s Olympic Equestrian Venue was complete with JBL Professional loudspeakers and Soundcraft mixers and the Laoshoan Velodrome sound system featured JBL loudspeakers, Crown amplifiers, BSS processors and dbx Control. The Olympic Green Convention Centre which served as the International Broadcast Centre and the Main Press Centre featured Soundcraft consoles, Crown amplifiers, BSS processors and JBL loudspeakers and the sound system at the now-iconic Beijing National Stadium was powered by a battery of Crown amplifiers. Bringing large-venue performance and superior networking connectivity to a variety of applications, Hitachi Home Electronics (America), Inc., Business Group has introduced the CP-X809 3LCD projector. The CP-X809 is designed to facilitate ceiling mounting in mid to large-size spaces and offers a number of features for easy maintenance. Additionally, the CP-X809 projector offers a brightness of 5,000 ANSI lumens, a 1000:1 contrast ratio and XGA resolution. The CP-X809 also uses inorganic LCD panels, which feature a higher resistance to light. This translates into longer operational life for the projector, and better picture quality during the life of the projector. It is also outfitted with a bayonet lens that can support up to four optional lenses for specific application needs based on the size and environment of a room. The lens on the CP-X809 can be adjusted manually to shift the position of the image. It can be moved 3 9/16” to the left and right, and 19 11/16” up and down on a 70” screen. After ceiling mounting, fine adjustments can be done with a screwdriver. Thanks to the CP-X809’s hybrid filter, maintenance and cleaning are much less frequent, making longer operation possible. With the lamp door on top and a side-mounted filter, maintenance and replacement of these parts can be done easily, even when the projector is ceiling-mounted. The CP-X809 offers networking capability, while Hitachi’s proprietary PJMan software gives users the ability to control, diagnose and manage a group of projectors from a single, remote location. Images can also be transferred via LAN connection to individual or multiple projectors. These images are stored in the projector’s memory and can be displayed using Hitachi’s proprietary “My Image” feature. My Image can be recalled and displayed locally using the projector’s remote control, or remotely over the LAN connection. Additionally, email notifications are automatically sent to the system administrator for routine maintenance and error alerts. When multiple computers have access to the projector via the network, a designated user can control presentation privileges (and block unwanted access), ensuring that the current presentation is not interrupted unexpectedly. Users can schedule routine and special projector events, including power on, power off, input selection and other settings. The CP-X809 also features wireless presentation capabilities, eliminating the need to pass around a connection cable when multiple presenters are in the room. It can also display up to four individual computer presentations simultaneously, and individual user names can be displayed for the connected computers, making it easier to keep track of the displayed presentations. Additionally, Hitachi’s new MIU LiveViewer software provides a quick and easy connection wizard for setting up a wired or wireless network presentation. The CP-X809 features an improved security bar that provides a deeper space for heavy chains. It also has a Kensington security slot to attach a cable using a lock. These security functions prevent theft when the projector is mounted on a ceiling or used on a cart top. Audio can be output in standby mode, allowing the audience to listen to external speakers via the projector’s audio output, which saves lamp life when you only need sound. Underscoring its commitment to continually advance the performance and workflow integration of its audio production tools, Eventide unveiled a new TDM plug-in that provides real-time control of its award-winning Eventide H8000 series, H7600, and Eclipse™ multi-effects processors. E-Control™ provides multiple parameter control automation, and program change capability, which is saved with the session for easy recall from within ProTools. The E-Control plug-in for ProTools will be available in December for $199. E-Control will be available at no charge for a limited time with the H8000FW, H7600, and Eclipse hardware processors purchased after September 1, 2007. Further demonstrating its customer commitment by continually upgrading its range of effects processors, Eventide today introduced Version 5.3 upgrade for its H8000 series. In doing so, the company makes its H8000FW compliant with Apple Leopard, and Windows Vista, in addition to other improvements including advanced system stability with FireWire and a more intuitive driver control panel. Upgrades are available immediately at no charge for registered owners at eventide.com. V5.3 also includes system improvements to the H8000 series’ sample rate converter, routings and levels set-up architecture. Customers simply download a zip file for Mac or PC and the folder will contain installation files and a comprehensive updated user manual. Eventide’s most powerful processor ever, the H8000FW, features a stunning 1,800 programs. Users can rely on the H8000FW to deliver the entire spectrum of Eventide effects, without taxing any processing power from their CPU. The H8000FW features Monolithic Tandem™, which allows both processors to operate together, facilitating large complex algorithms, including 5.1 reverb and effects or up to eight channels of processing up to 96kHz. The H8000FW also includes 20 MIDI Virtual Rack preset-algorithms featuring up to five full-blown effects processors ganged together with real-time MIDI control, each optimized for voice, guitar, or percussion. The H8000FW features eight channels of digital audio I/O via AES/EBU, ADAT, and FireWire, all 24-bit up to 96kHz. In addition, the H8000FW incorporates four channels of pristine analog I/O with a dynamic range of >110dB. With Eventide’s exclusive Building Block Architecture, users can create their own unique preset-algorithms with the library of 230 effects blocks using the supplied PC and OS X preset development tools. Drawn to the benefits of having rackmount effects processor capabilities in an affordable and upgradeable stompbox, accomplished kora musician David Gilden recently added an Eventide TimeFactor effects pedal to his touring rig. 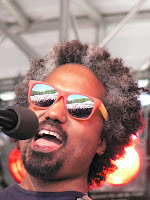 Since the 1980s, Gilden has toured extensively as a solo artist and with the band Cora Connection, and is one of the world’s most accomplished masters of the kora, a traditional African harp-lute. After experimenting unsuccessfully with other stompboxes and processors, Gilden discovered the TimeFactor, a twin delay stompbox that includes Eventide’s 10 best delay effects integrated into a compact, upgradeable package. “I listened to the online demo, heard some of the effects and was totally blown away, because it has the sounds of bigger boxes that typically cost $2,000 or more,” Gilden said. The TimeFactor features MIDI, USB for software upgrades, and 10 time-tested stereo or dual mono delay effects, including Digital Delay, Vintage Delay, Tape Echo, Modulated Delay, Ducked Delay, Band Delay, Filter Pong, MultiTap Delay, Reverse Delay, and a 12-second Looper. Additionally, v2.0 software is now available for the TimeFactor. The software, free to registered users, downloads and installs easily by simply plugging the USB outlet into an Internet-connected computer, and provides users with an impressive set of new features and improvements. Looking for the perfect combination of versatility, performance and portability, guitarist Kevin Hunter has added the Eventide TimeFactor and ModFactor stompboxes to his repertoire. Hunter, the former guitarist for Jive Records recording artist Lesley Roy, is currently working on a project with producer Hal Willner (Lou Reed, Lucinda Williams, Marianne Faithfull). Hunter purchased a TimeFactor and a ModFactor—Eventide’s first two stompbox models. Small enough to fit on a pedalboard or in a gigbag, the TimeFactor and ModFactor are full-featured Eventide studio-quality stompboxes. The TimeFactor twin delay stompbox includes 10 stereo or dual mono delay effects, including Digital Delay, Vintage Delay, Tape Echo, Modulated Delay, Ducked Delay, Band Delay, Filter Pong, MultiTap Delay, Reverse Delay and Looper. The ModFactor modulation effects stompbox includes 25 of Eventide’s best modulation effects, including multiple versions of Phaser, Flanger, Chorus, PolyMod, TremoloPan, Undulator, Vibrato, Q-Wah, ModFilter and RingMod. Showcasing Soundcraft’s position as a global leader in digital mixing, three premier Portuguese technical production houses, Décibel, Strong and CLS Audiovisuals, have made major investments in Soundcraft’s digital platform. The addition will lead to the expansion of Vi6™ consoles across many different applications. The Vi6’s continuing appearance at major festivals has been a major factor. “It gives sound engineers the opportunity to get hands on for the first time and experience the ease of using the Vistonics II™ GUI,” continued Azevedo. The first company to invest was Porto, Portugal based Décibel. Rui Soares, who set up the company in 1992, confirms that both their new Vi6’s are permanently out on duty. Aside from providing technical production for the extravagantly-designed Casa da Musica (House of Music), the company also services a number of festivals; including Festival Músicas do Mundo, Sines, where Human League was recently mixed on a Vi6. The company with the largest Soundcraft digital inventory, however, is Strong, based in Tondela. General Manager, Teixera de Matos, has a wealth of experience stretching back 27 years and he set up Strong six years ago. The company made its entry into the digital world by simultaneously purchasing a pair of Soundcraft Vi6’s and a Vi4 simultaneously, providing cover for both the FOH and monitor positions. Strong already had plenty of experience with Soundcraft’s analog Vienna’s and Series 5’s in their rental fleet over the years. Teixera de Matos comments, “The Vi6 is not only intuitive and user-friendly, with all the functionality onboard it is also extremely fast. Everything is in front of you on the monitor, and I didn’t have to scroll though all of the pages like I would have with other brands. By the time the consoles were delivered all the technical team was able to use the virtual mixer, which had been downloaded from the Internet. It’s a very good first approach.” Teixera believes the compact form factor of the Vi4 is also important for Strong’s growing number of theatre shows where seats are at a premium and he has also found his transportation costs reducing considerably. Not all the Vi6 purchasers are live tour sound companies, however. CLS Audiovisuals are essentially a broadcast company and although based in Lisbon, they also work in Spain, Angola, Dubai and Qatar. A 50/50 partnership between parent company Mediapro, one of the biggest broadcast companies in Europe, and Nuno Duarte, Andre Senos and Carlos Lima, the company is equally at home in the world of OB trucks and broadcast studios as it is on a live FOH platform. Providing further exposure to sound engineers in Portugal using the Soundcraft Vi6, Puro Audio’s Antonio Monteiro recently sub-hired CLS’s Vi6 for the major Super Bock Super Rock 2008 Festival in Lisbon and Porto; attended by 60,000 people. Continuing a tradition of providing the leading amplifiers for tour sound applications, Crown’s MA-12000i amps were featured in XXXX Audio System’s live applications for a number of sold out shows this past summer. Artists such as KISS, Sammy Hagar, Jason Aldean, Frankie Valli, Daughtry, Lifehouse, Ne-Yo, John Michael Montgomery, Gladys Knight, Al Green, Sheryl Crow, Mike Ness and the Black Keys all performed with sound systems that integrated MA-12000i amps and JBL VerTec speaker systems. Comprised of three models – the MA-5000i, MA-9000i and MA12000i – the Macro-Tech i Series builds upon its predecessor by incorporating Crown’s advanced, patented Class-I circuitry, which efficiently delivers significantly greater power while simultaneously reducing overall amplifier weight by more than half. The new lineup is also equipped with comprehensive status, fault, and load monitoring via standard Ethernet networking and Harman Professional’s HiQnet™ connectivity and control protocol and System Architect™ interface. Furthermore, a universal power-factor corrected power supply ensures that the new models can be used literally anywhere in the world, delivering full rated power regardless of where touring schedules may lead. At 28 pounds, the Macro-Tech amps garner new appreciation because of their practicality for portable applications. “In our work, anytime you make something lighter and increase its performance at the same time you’ve done your job. We will continue to implement additional MA-12000i amps into our inventory for concert system applications,” stated Pumphrey. Extending AKG’s position as a global leader in microphone technology, AKG Acoustics recently announced the acquisition of the worldwide distribution rights for the Crown family of microphones. The integration of Crown microphones into AKG Acoustics’ product portfolio adds to AKG’s global position as one of the world’s leading sources of high-quality microphones. As a result of the partnership, AKG distributors now handle the worldwide distribution for two of the industry’s leading microphone brands. Harman International, the world’s largest professional audio company, acquired AKG in 1993 and then purchased Crown in 2000 in order to gain a stronger foothold in the microphone market. Both companies have made major contributions to the art and science of audio engineering and are responsible for a large number of groundbreaking products that have become milestones in microphones, headphones, amplifiers and wireless systems. 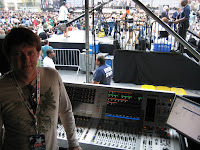 In an increasingly common instance of Studer Vista 5 SR live sound consoles being deployed by leading sound engineers at Front Of House and monitor position for the same event, Keith Urban’s FOH engineer Steve Law and monitor engineer Jason Spence both manned Studer Vista 5 SR consoles at the recent NFL Live Kickoff concert in New York City’s Columbus Circle as part of CLAIR’s support package for the award-winning country music artist. The event was broadcast nationally on NBC and the NFL Network with onsite broadcast support by Metrovision, whose OB truck featured a specially-configured Studer Vista 5 console with mixing by John Bates, Audio Engineer and support by Mike Christopher, Truck Technician. The concert was hosted by Deion Sanders and featured live performances by Usher and Natasha Bedingfield in addition to Keith Urban, with guest appearances by New York City Mayor, Michael Bloomberg and NFL greats Lawrence Taylor and Warren Sapp. Traffic at this usually busy junction in the heart of New York City was suspended for the day as Firehouse Productions and CLAIR collaborated to transform the streetscape into an impressive temporary outdoor concert venue. New York-based Firehouse Productions, who provided stage and control electronics gear, fielded a team led by senior engineer Mark Dittmar. Firehouse supported the main stage with JBL VERTEC VT4889 full-size line array elements in towering arrays on either side of the stage, while Mike Wolf, CLAIR’s corporate services manager, led a team onsite that relied on the company’s own proprietary JBL-loaded i-3 and i-4 line array enclosures for extended audience-area coverage and delay tower positions. “The Vistonics user interface is the best in the market today,” notes Law. “There’s nothing worse than hunting through a menu of operations while trying to keep up with the artists. Instead, with the Vista 5 SR, it’s so good to have real knobs right beside S each function, which makes the console more hands-on and more tactile” Law enthuses. “More fingers and ears: isn’t that how music is supposed to be? New PuraM® Membrane Bioreactor, PuraMAX® Moving Bed Biological Reactor, and PuraSAF® Submerged Aerated Filter wastewater treatment solutions and MÓNASHELL® Enhanced Biofiltration odor control technology are now available in the North American market. CHICAGO, ILLINOIS, October 9, 2008 — Bord na Móna Environmental Products U.S. Inc., the American market subsidiary of the $550-million Bord na Móna group based in Dublin, Ireland, today formally introduced three new wastewater treatment solutions and new odor/VOC control technologies at WEFTEC 2008 in Chicago, Illinois. In doing so, the company said it was significantly expanding its commitment to the United States market through the ongoing development of environmentally focused products that reduce energy and chemical demand, incorporate recycled materials and provide water reuse solutions. Customers looking for a system that achieves high quality effluent that meets water reuse and stringent Total Nitrogen standards within a greatly reduced overall footprint should consider Bord na Mona’s new PuraM® Membrane Bio-Reactor (MBR) system. A proven product developed from extensive R&D, the PuraM MBR is engineered specifically for the decentralized municipal, community and commercial wastewater treatment market with an emphasis on reliability, reduced operational input, ease of maintenance and less complexity than comparable systems. PuraM is based on flat plate ultra-filtration membrane technology assembled into stainless steel membrane cassettes. The cassette consists of a unique integral dedicated air diffuser assembly that eliminates the need for back-pulsing or frequent chemical cleaning. The system does not require permeate pumps or any site installed chemical dosing system while achieving a typical time between recovery cleans of approximately 12 months, significantly better than comparable systems. PuraM pre-engineered plants are specifically designed for small flow applications providing the reduced complexity and reduced operational input that these decentralized systems require. The new PuraMAX® Moving-Bed Biological Reactor (MBBR) is designed to achieve a high quality effluent at low cost, all within a small overall footprint. The PuraMAX system is engineered specifically for municipal, decentralized or on-site community and commercial wastewater treatment applications, where simple, reliable operation and maintenance are required. The PuraMAX is also ideal for high strength and pre-treatment applications. PuraMAX is an attached growth activated sludge process. Following a septic/ primary tank, the aeration stage consists of recycled plastic media that provide an extended surface contact area for bacteria to attach. An aeration grid located at the bottom of the reactor supplies oxygen to the biofilm, along with the mixing energy required to keep the plastic bio-carriers suspended and completely mixed ensuring good contact between the bacteria and wastewater. The biosolids are naturally sloughed off the media, which along with the treated wastewater flows by gravity to a clarifier for the separation of solids. Excess solids can be either returned to the septic tank or pumped to a sludge holding tank. Total nitrogen reduction can be achieved with recirculation to an anoxic tank or with a post-anoxic stage with carbon addition. The new PuraSAF® Submerged Aerated Filter is an attached growth activated sludge process that provides a cost effective, low energy pre-engineered wastewater treatment solution that is simple to operate and maintain. Specially designed, recycled plastic media act as biomass carriers and provide a large surface area for bacteria to attach. This allows the PuraSAF to have a much smaller footprint and better oxygen transfer efficiency than traditional activated-sludge processes, saving capital and operating costs through lower process air requirements. The filter normally operates in an upflow packed bed configuration that is readily fluidized for cleaning and desludging. temporary solution during planned refurbishment, as an emergency solution to works failing to meet their permit standards and in an unaerated mode as a low cost solids tertiary filter. Lease / rental options provide significant flexibility to clients. The new MÓNASHELL® Biofiltration System is a sustainable, low operating cost alternative to traditional carbon adsorption or chemical scrubbing. The reuse of waste shells as media maintains a neutral pH, allowing for highly effective biological treatment of odorous sulfur compounds in wastewater and industrial airstreams without the use of chemicals. The MÓNASHELL system is designed to deliver significant, environmentally responsible benefits for wastewater pumping stations, wastewater treatment works, sludge-handling and treatment processors, municipal solid waste and composting centers, as well as various industrial facilities. MÓNASHELL is very effective for treating a broad range of compounds and high levels of H2S and Organic Sulfides. MÓNASHELL uses a smaller footprint than conventional biofilters and its offsite or onsite modular construction allows ease of installation. With over 15 years experience, Bord na Móna has built up a wealth of expertise and knowledge in the field of air pollution with over 500 installations worldwide. Bord na Móna Environmental Products U.S Inc. are proud to showcase their extensive range of wastewater treatment and odor control solutions at WEFTEC 2008 and will have working models of each system on the booth to help demonstrate the technologies. Headquartered in Dublin Ireland, Bord na Móna is a multi-national $550-million full line provider of products and services in the environmental, energy, fuels, and horticulture markets. The company’s state-of-the-art, environmentally responsible wastewater, water reuse and air pollution treatment solutions deliver significant environmental benefits for homeowners, communities, and municipalities. The company is dedicated to forging a new contract with nature through the development of innovative solutions focused on water conservation, re-use, material recycling, and energy and chemical reduction. Bord na Móna Environmental Products U.S. Inc. (www.bnm-us.com ) is headquartered in Greensboro, North Carolina.